Here at My Dental, our love and respect for our country’s veterans goes beyond words. Because of that, we have decided to give back to four deserving veterans by transforming their smiles. Make sure to keep scrolling to watch the story of Chris and John. These aren’t the only stories we want to tell. We have two more veterans, whose stories will be shared in the weeks to come. We are extremely grateful for our veterans, and we wish we could help them all. Chris’ kids hadn’t seen him smile for a long time, and while he had wanted to fix his teeth for years, he chose to prioritize his family’s needs over his own. We are happy to honor selfless people like Chris, who not only is a father of six children but also served in the United States Army for eight years. We chose Chris as one of the veterans to receive a complete smile makeover courtesy of all of us here at My Dental. 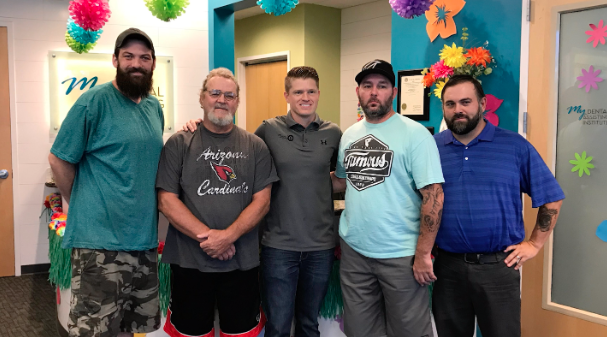 Chris continues to serve his local community by running baseball programs for Arizona youth, helping kids gain the skills necessary for high school, college, and beyond. With all these things considered, we thought Chris was very deserving of a new smile, and it was an honor to work with him. Our Veteran Smile Makeover series continues with the story of John Wood. John proudly served our country for eight years in the Army. He also served in law enforcement for six years. As a result of some hard knocks, he found himself needing to take pain meds that caused his teeth to rot. As a disabled vet, his ability to live a regular life has become a challenge. After hearing his story, we decided to give him something that would make his life a little bit easier. Thank you for your service, John. We’re honored to have met you. 6059 E UNIVERSITY DR. IN MESA! As you can tell... it is finished! We are beyond grateful for our entire team who has worked tirelessly towards making this day happen. Come on in, we’d be happy to show you around. 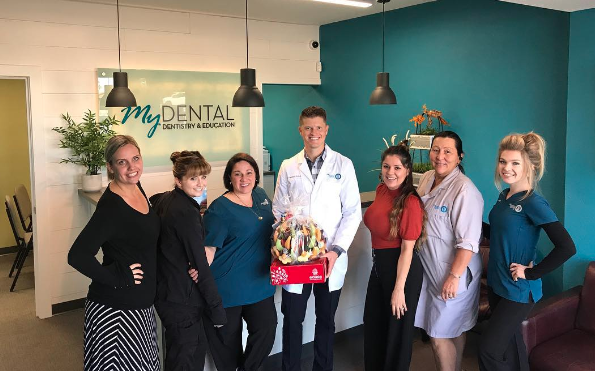 My Dental is Celebrating Their New Mesa Location!